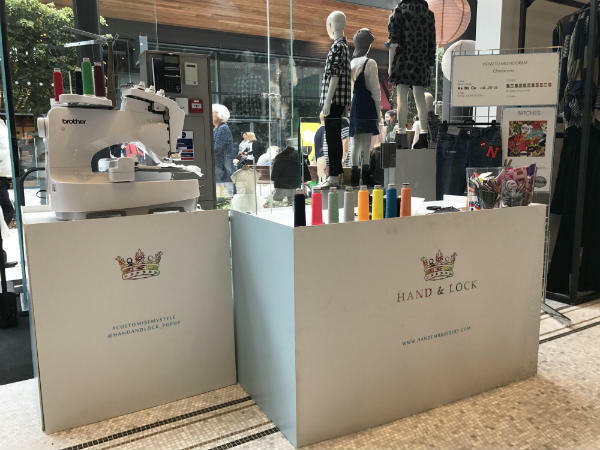 Within your store or chosen location your guests can watch as their purchases are given a special finishing touch by one of Hand & Lock’s highly skilled embroiderers. 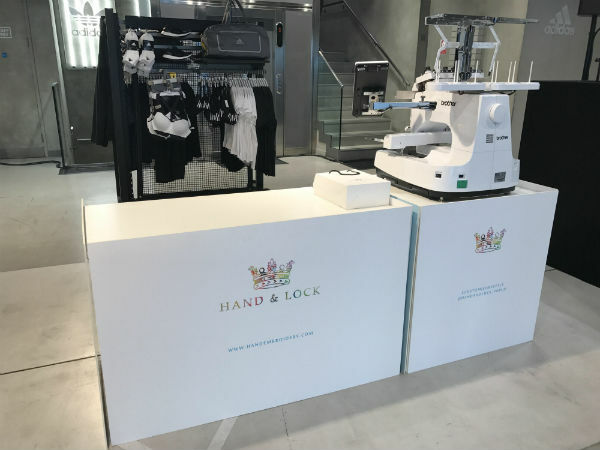 Hand & Lock Embroidery Atelier will advise you what services could work best for your event and can tailor their unique in-store services to suit your needs. 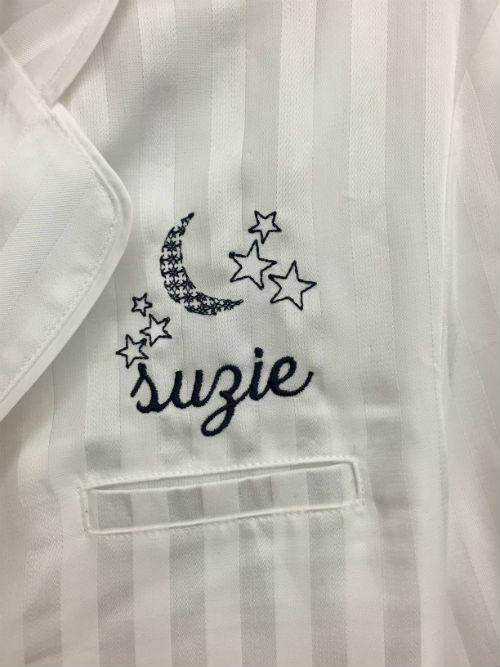 Hand guided embroidery is ideal for slogans or names in large joined-up script fonts. Digital is ideal for multicoloured logos, patches, badges and emojis. 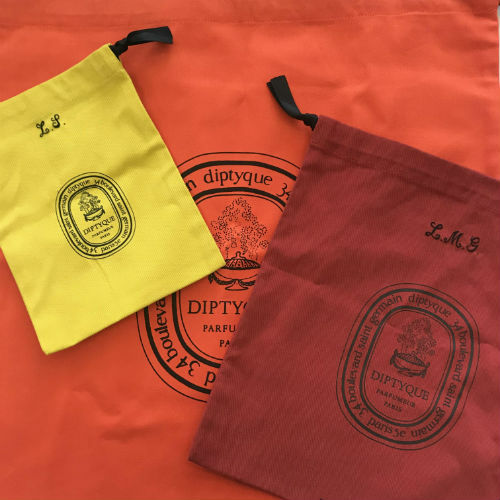 With hand embroidered monograms they offer 23 different fonts, sizes and monogram styles to choose from. It is possible to have an exclusive bespoke font designed especially for your event. A single letter can take up to 30 minutes to complete so your event may require more than one embroiderer. 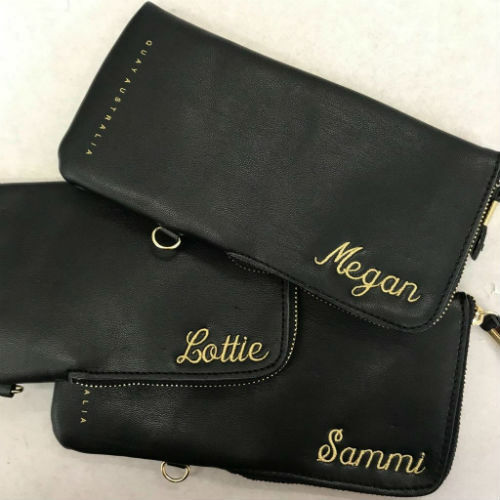 Whilst Hand & Locks digital machine embroidery and hand embroidery is great on soft fabrics and most garments, leather accessories need another technique of customisation. 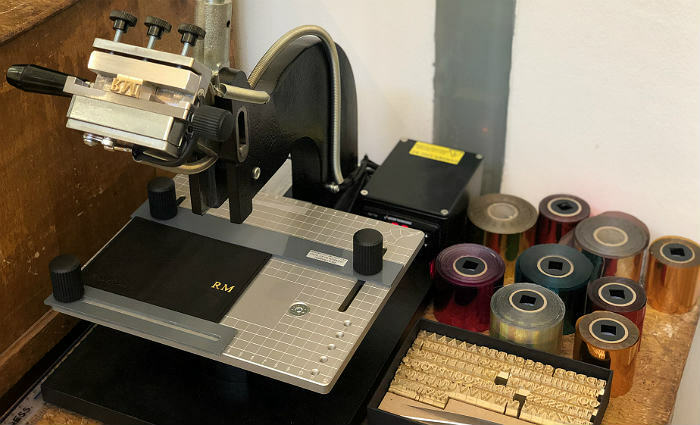 The embossing machine allows leather accesories such as luggage tags, note books, make up bags and more to be customised with a Times new roman font and the choice of 10 coloured foils. 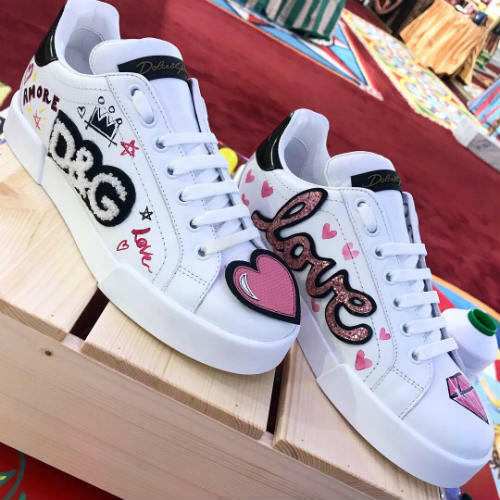 This process is very quick and means the customer hardly has to wait for their item to be customised right before their eyes. 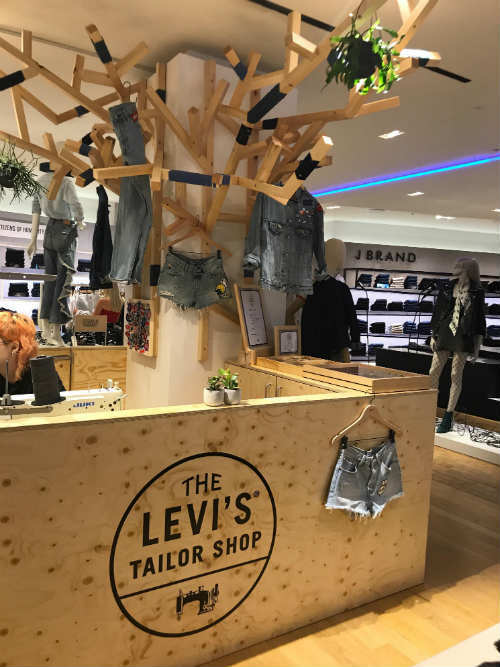 Following the current trends within denim, Hand & Lock offer a bespoke denim ripping and studding event service. 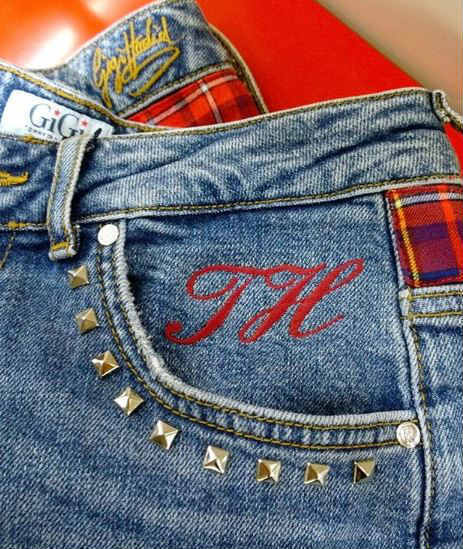 This works well for any denim brand where the customer can buy or bring along their jeans, jackets, shorts ect and we can customise these in the way they would like, subtly ripped or studded to their hearts content. We can also make jeans into shorts and jackets into gilets all with raw ripped edges. 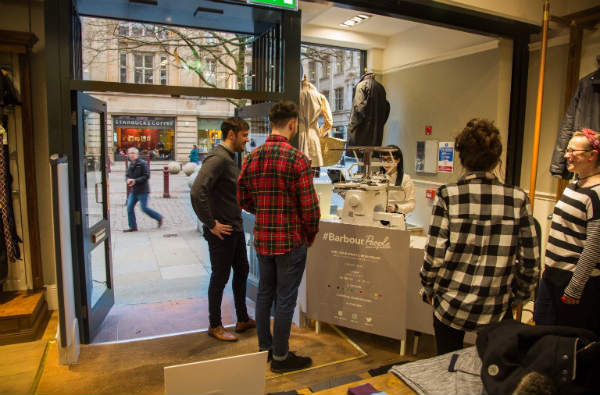 Shoppers are now used to seeing pop-up personalisation and customisation in stores. 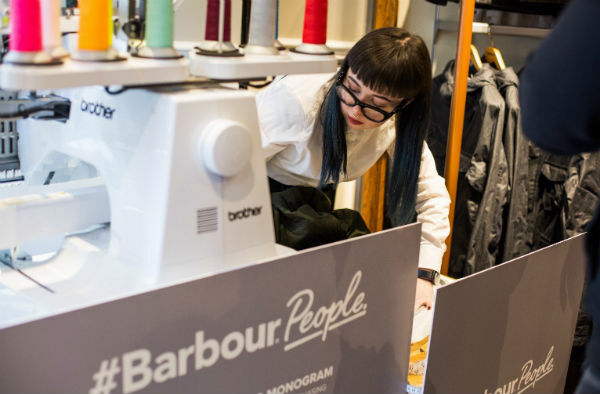 Hand & Lock Embroidery Atelier have had customisation pop-ups in stores as diverse as Barbour, Stella Mccartney, Selfridges and Topshop. 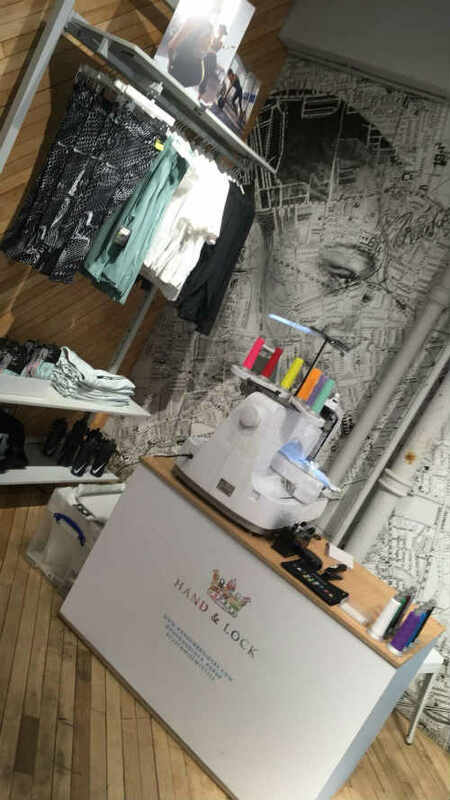 An in-store embroidery pop-up provides your customers with an opportunity to engage and experience the fashion manufacturing process. 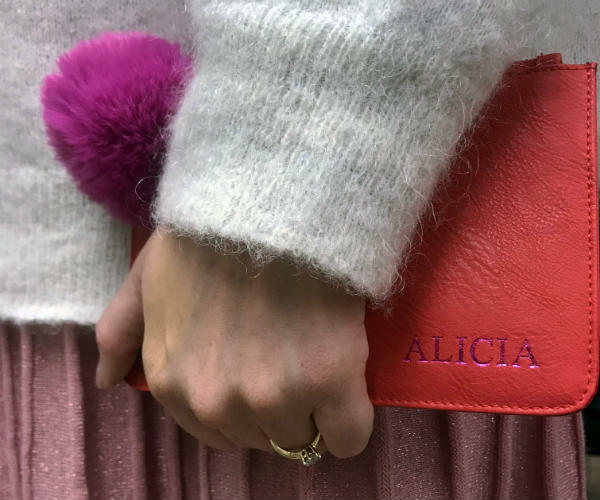 A skilled embroiderer working in store demonstrates your brand’s commitment to British craftsmanship, an increasingly important factor affecting the buying behaviour of British shoppers. 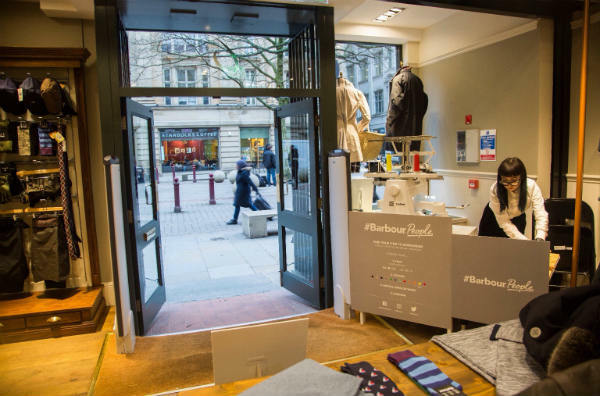 Brands using a bespoke in-store customisatoin pop-up, secure increased press coverage, improved sales, better customer retention and guaranteed word of mouth. Let them do the heavy lifting while you focus on other things. 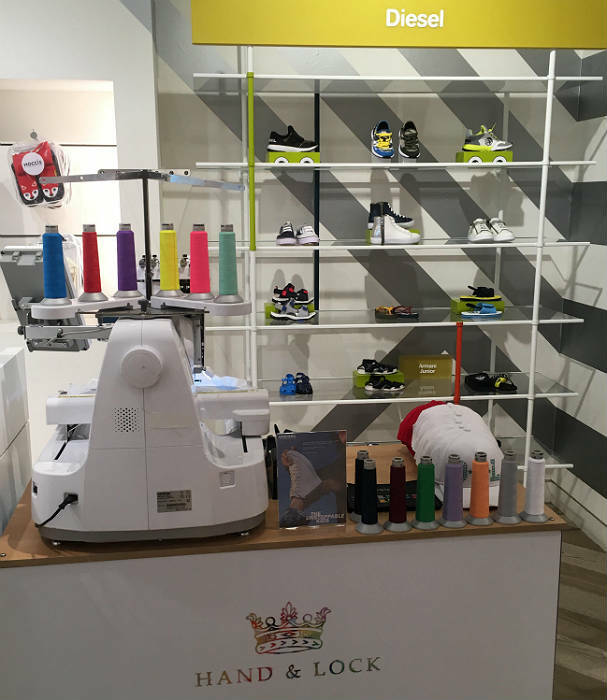 Hand & Lock Embroidery Atelier supply all embroidery materials, necessary equipment, PAC tested and approved machinery, staff and any necessary training for your sales team. 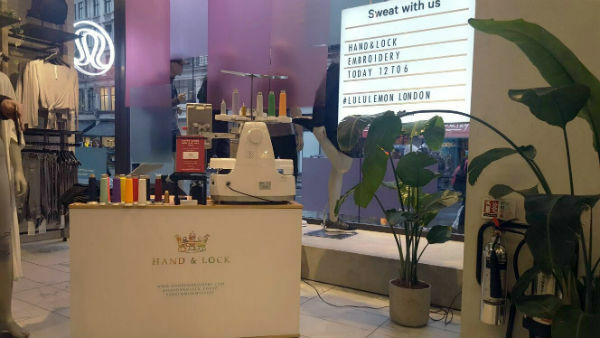 As well as producing embroidery on site in front of the customers eyes, the Hand & Lock team can also teach guests how to customise their items themselves. 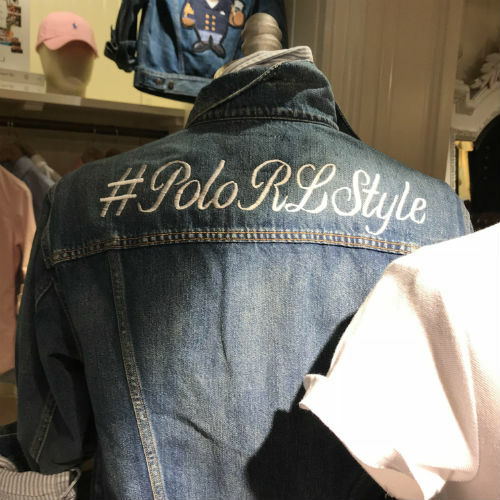 Customisation Workshops can vary but always will be an embroidery technique done by hand. An example would be a workshop we ran with Hush. 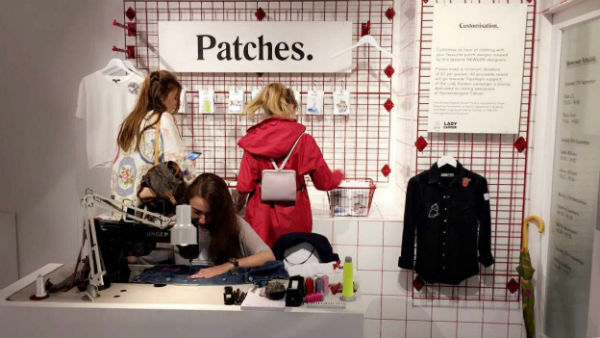 Guests came to the Hush pop up shop with their vintage denim, where they found us there to teach them how to rip stud and patch up their denim! Workshops don’t always need to be restricted to denim customisation. 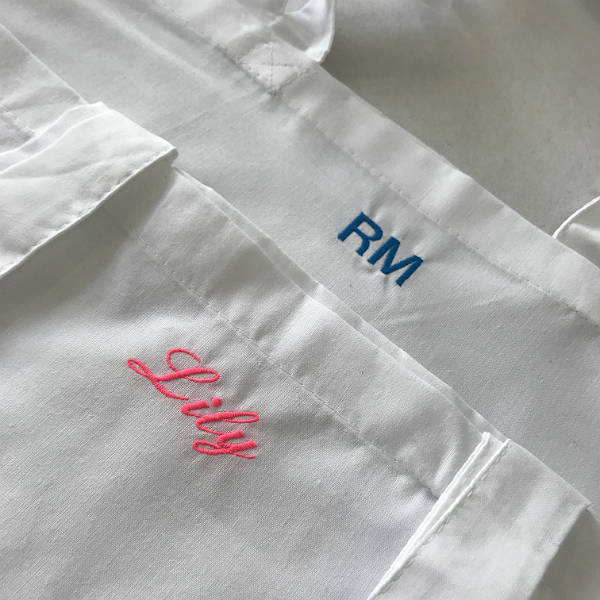 A Customisation Workshops we recently ran with Pinterest and guests had Hand & Lock teaching them how to hand monogram with chain stitch and sew down a selection of their own fabric patches. 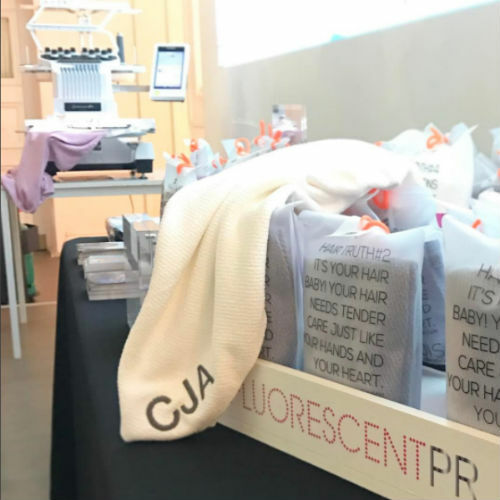 The embroiderers are not limited to the services they can provide for a workshop so let us know if you have any ideas and we can be sure to fulfill your event dreams for you! 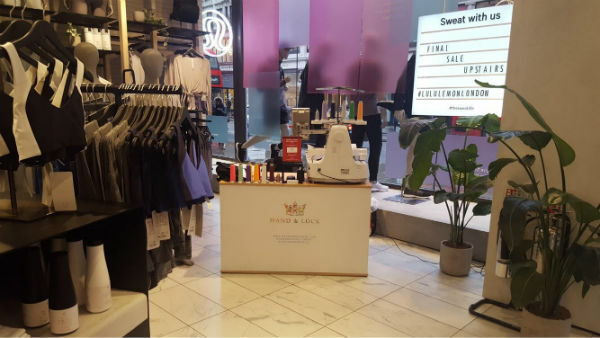 Hand & Lock have worked on highly successful experiential marketing, retail promotion and in-store marketing campaigns for e.g. 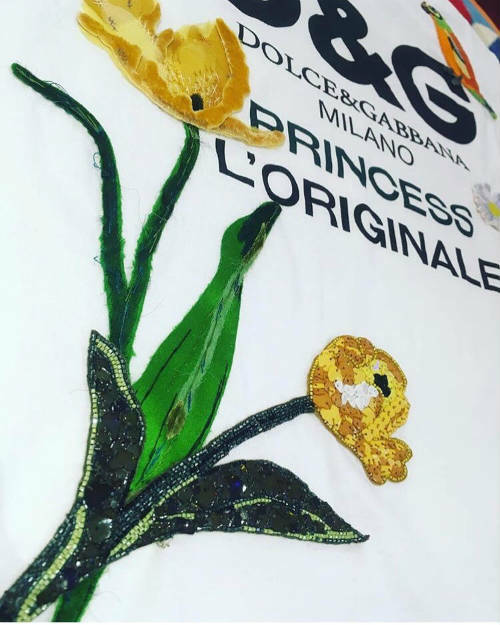 D&G, Harrods, Ralph Lauren, Selfridges, Stella McCartney, Topshop… Hand & Lock Embroidery Atelier is the perfect in-store custom embroidery service for your retail promotion or in-store marketing campaign. Thank you too for such a great event, you were a huge hit with all the guests! All great feedback! Thanks for coming! We loved having the embroiderer here, it was a lovely addition to the event! The personalised Bretons were a huge success!